It has been several days since a ceasefire between Israel and Palestine was reached, and yet firing has not ceased. 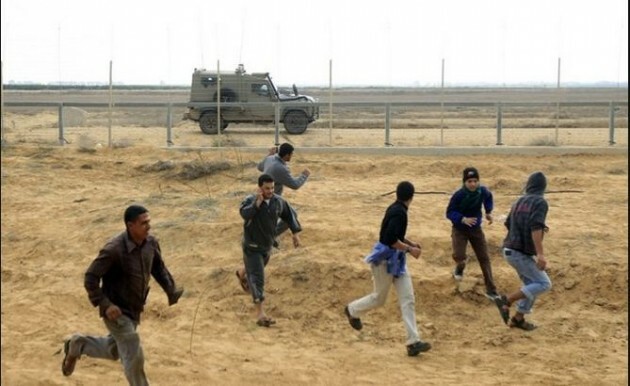 Along the Khan Yunis (Gaza) border with Israel, 20 year old Anwar Abdel Hadi Qdeih was fatally shot in the head and approximately 19 others were wounded. Palestinians were attempting to cross the border, a right they felt was guaranteed to them in the ceasefire agreement (1. c.). Israeli soldiers initially fired three shots in the air, and then followed standard procedure. When they continued their attempts to cross, security forces followed standard procedure (warning shots) and after exhausting other options fired towards their lower bodies. Why then, was Anwar shot in the head? Perhaps it was because he was attempting to pin a Hamas flag atop the border fence. It seems emotion trumped standard procedure for this specific solider, in this specific case. Many have been quick to denounce the shootings as an Israeli breach of the ceasefire, but is that a fair claim? Obviously, the shootings were not ordered by Ehud Barak (Israeli Minister of Defense), nor were they sanctioned by Benjamin Netanyahu (Israeli Prime Minister). One soldier’s rash decision does not necessarily reflect the intentions of their government. On the bright side, both Israel and Hamas have consulted their Egyptian mediator regarding the situation. Not firing in response to the firing during a ceasefire is a good thing.